Your THURSDAY CMA Fest 2018 Guide! It’s going to be a hot and partly-cloudy high of 92 in Nashville today as you make your way from stage to booth to fan experience at the opening of the 2018 CMA fest. We’ve rounded up the daily artist showcases from each of our major label friends to help you make the most of your Fan Fair experience. Pack the sunscreen, a hand fan, and hydrate because you’re in for one hot weekend! CMA Fest: Go For The Music, Leave With A Puppy! Watch the latest episode of The Pickup here. CMA FEST, VINCE GILL, JOHNNY LEE, RAY SCOTT, JASON ALDEAN AND MANY MORE FEATURED IN THE NEWEST EPISODE OF “THE PICKUP” Continuing the tradition of bringing you the latest news in country music, the latest episode of “The Pickup” features a look inside CMA Fest, Vince Gill’s latest musical pairing, Johnny Lee still lookin’ for love, Ray Scott’s latest album, and so much more of country’s top stories. One of country music’s biggest names, Vince Gill, will be the newest member of the Eagles, one of the best-selling bands of all time. Gill can be seen performing with the band throughout the month of July. With CMA FEST right around the corner, “The Pickup” has a list of must-dos for the week. This list includes paying a visit to the Cracker Barrel Country Roads Stage at Ascend Amphitheater to see classic acts such as The Oak Ridge Boys and Billy Ray Cyrus for free. Also on that list is the CMA Fest Family Feud: Country Stars vs Reality Stars featuring Darryl Worley, Jeannie Seely and Ray Stevens Sunday at the CMA Close Up Stage. John Conlee was recently honored by the Georgia Sheriff’s Association for his song “Walkin’ Behind the Star” in support of the women and men in blue. Ray Scott talks about his newest album Guitar For Sale that is set to release on June 9. He has also released a lyric video to “Livin’ This Way” that features a look at the recording process. Country legend Johnny Lee is releasing his autobiography titled Still Lookin’ for Love and speaks with “The Pickup” about the meaning behind the title. The Country Music Hall of Fame has a new exhibit chronicling Jason Aldean’s life and career that will be open until November. Aldean talks to “The Pickup” about his thoughts on the exhibit, Asphalt Cowboy. “Things Change” is the title track to the latest album from living legend Bobby Bare. Bare shares the secrets to his distinctive country voice with Adam Wurtzel from “The Pickup.” Stay tuned for our next episode for a look inside CMA Fest. It will be one you don’t want to miss! Check out the latest episode of The Pickup here. 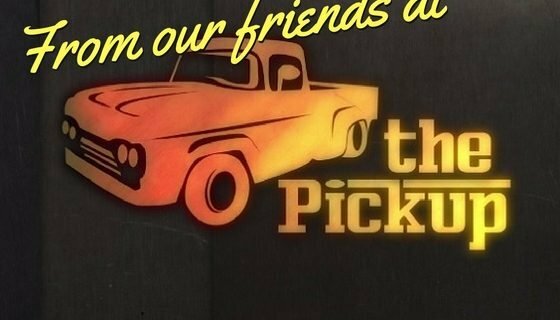 ABOUT THE PICKUP: Launched in early 2015, The Pickup, a syndicated country video news series produced by The Hot Seat, highlights today’s stars and classic country artists making news today. New episodes are posted on the 1st and 15th of each month. The Pickup, hosted and produced by Adam Wurtzel, can be seen on the websites of broadcasters across the country including over 160 stations, as well as online media blogs, RFD-TV, the U.K.’s SKY Television and the Heartland Network. CMA Music Festival – Full Show Online! Last night ABC broadcast one of the most highly-anticipated country music parties of the year, and like most busy people, you probably missed it. Well have no fear, we’ve got the best highlights of the CMA Music Festival performances submitted by fans who were actually there, so grab a seat and tune in! If that doesn’t quench your thirst, you can always go to ABC.COM where they allow subscribers of most cable providers to watch the entire show online! Official 2014 CMAFest LineUp and Schedule! Nashville’s BIGGEST festival is coming back THIS June 5th-8th and it looks like it’s going to be one heck of a party. 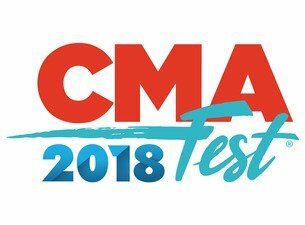 The CMA team has released the official CMAFest Schedule with a complete daily performer lineup, and we’ve got all your details right here on CountryMusicNewsBlog.com! CMAFest lineup in LP Field*: Thursday June 5, 2014 Brantley Gilbert Dierks Bentley Luke Bryan Rascal Flatts Tim McGraw Friday June 6, 2014 Blake Shelton Eric Church Jason Aldean Miranda Lambert The Band Perry Saturday June 7, 2014 Chris Young Darius Rucker Florida Georgia Line Keith Urban Little Big Town Sunday June 8, 2014 Brad Paisley Hunter Hayes Lady Antebellum Thomas Rhett Zac Brown Band *Performers are listed alphabetically. Stage times have not been released. Tune In To ABC Tonight for CMA Fest: Country’s Night to Rock! Its that time of year again! The summer is over, and with it the country music festival scene is winding down for the season. BUT, that doesn’t mean we can’t take an evening to look back at the awesome times we had during those warm summer nights! 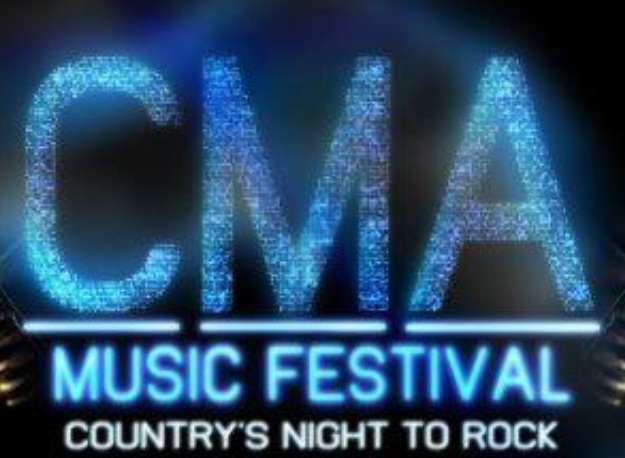 Tonight, the Country Music Association will air its annual recap of the 2012 CMA Fest (previously Fan Fair) in their network broadcast, CMA Fest: Country’s Night to Rock. You can relive the performances you loved, or if you missed the Nashville based festival, experience them for the first time! The show is hosted by Kimberly Perry and Luke Bryan and will feature other country music stars like Carrie Underwood, Zac Brown Band, Miranda Lambert, Jason Aldean, Dierks Bentley, Hunter Hayes, Alan Jackson, Martina McBride, Faith Hill, Brad Paisley, and many, many more of your favorites! So, be sure to tune into ABC tonight at 8/7c, and enjoy some awesome country music performances! Between now and tonight, check out this 2012 CMA Fest Highlights Reel! Colt Ford, LoCash Cowboys And Matt Stillwell Will Perform At The Country Weekly Kick-Off Party Tonight! Country Weekly magazine is celebrating the kick-off to CMA Music Festival with a special benefit concert featuring artists Colt Ford, LoCash Cowboys and Matt Stillwell who will bring their southern fried country music to the stage of the Hard Rock Cafe in downtown Nashville today, June 5. To keep the party rocking, electric cowboy DeeJay silver will spin his signature country music remixes and mash-ups for fans in between performances. All proceeds from the event will go towards Musicians On Call (MOC), Nashville’s ongoing efforts to to bring the healing power of music to the bedsides of patients in healthcare facilities in Middle Tennessee. Tickets are available now on the MOC website and begin at $15 for General Admission and go up to $350 for a VIP table for four including meet & greet passes. Doors open at 8:00pm with music beginning at 9:00pm. The night promises to bring great country music and rowdy good times. For more information on the event, ticket options and auction items, please visit www.musiciansoncall.org/cwkickoff. A special thanks goes out to Durango and Roper for their continued support. Dwight Yoakam Featured At 3rd Annual Billboard Country Music Summit! As we all know this week is the week of the Country Music Association’s CMA Music Festival in Nashville, TN! Fans will be pouring in from far and wide to participate in the June 7-10 festival, hearing some of the best country music, hanging out with other country music fans and experiencing all Nashville has to offer! While the focus of the next few days really is on the fans, this is also a chance for individual’s on the business side of things in the industry to get together as well. For the past couple years, this has come together as the Billboard Country Music Summit, and now in its 3rd year, it just keeps getting better and more relevant. It takes place on June 4-5, right before CMA Fest kicks off, and the event will gather today’s top players in country music to network and discuss all aspects of the country music business. To get this conversation started, event organizers look to the folks who’ve got experience in the country music world! So it should come as no surprise that this year’s summit will be featuring Dwight Yoakam! Dwight will participate in a Superstar Q&A and will be joining country music legend Willie Nelson and rising star Luke Bryan at the two-day conference. It’s gonna be a heck of a week and Nashville is kicking it off right with Billboard’s Country Music Summit! Find more info on their official page.